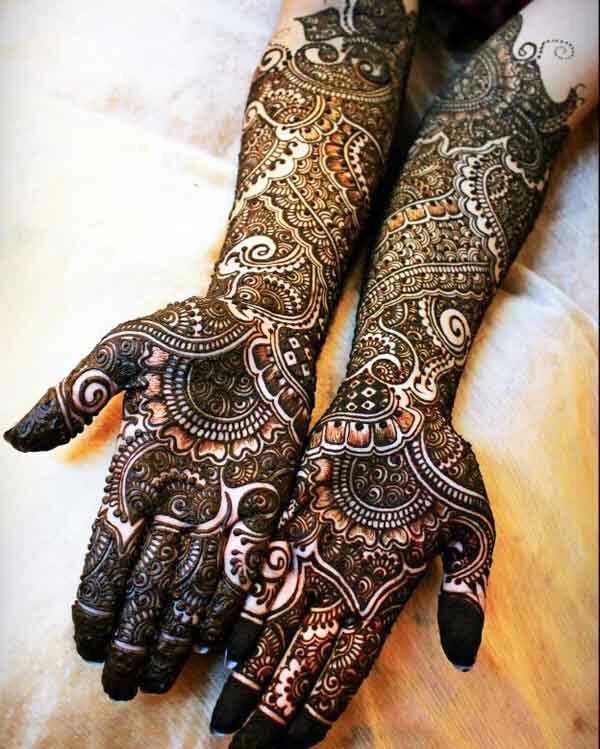 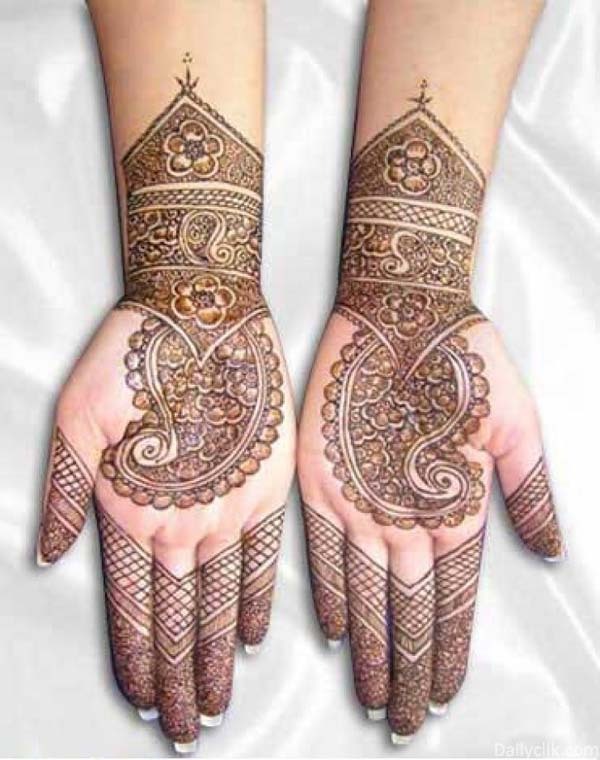 Bridal Mehndi designs are important for traditional weddings in India, Arab, Pakistan and other countries. 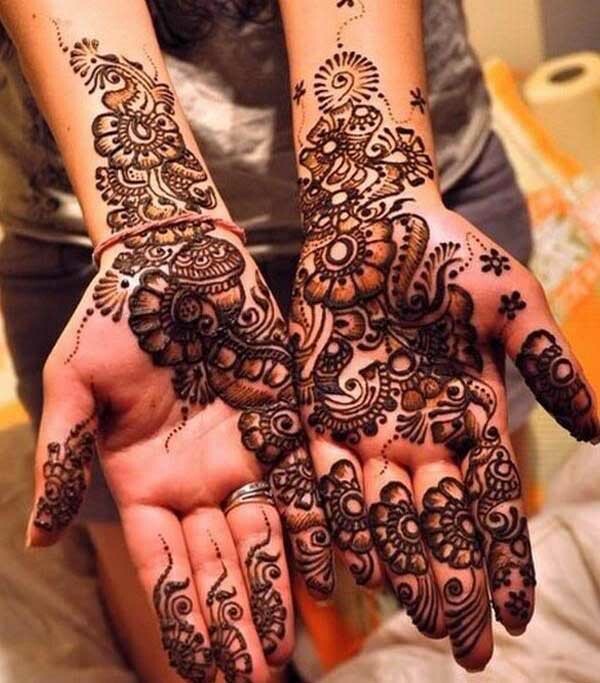 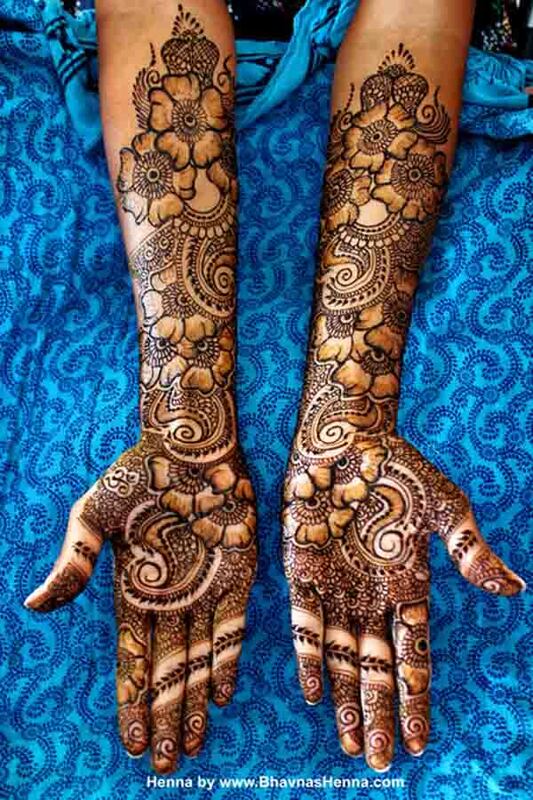 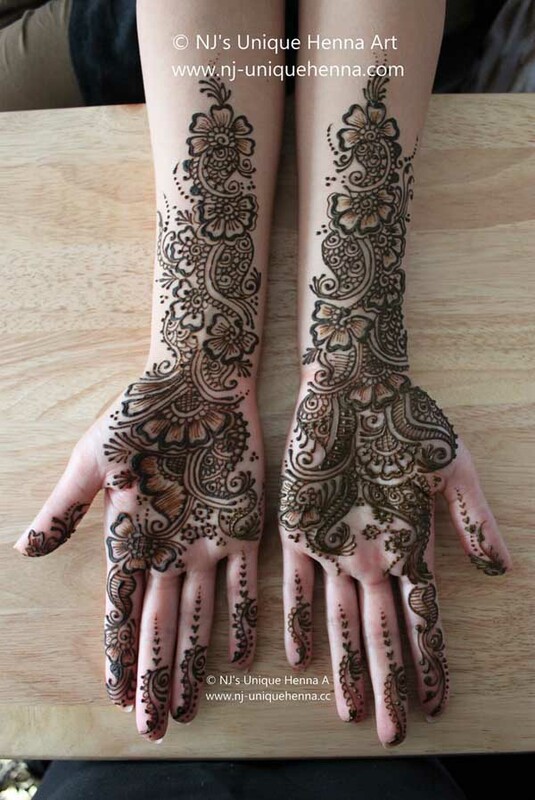 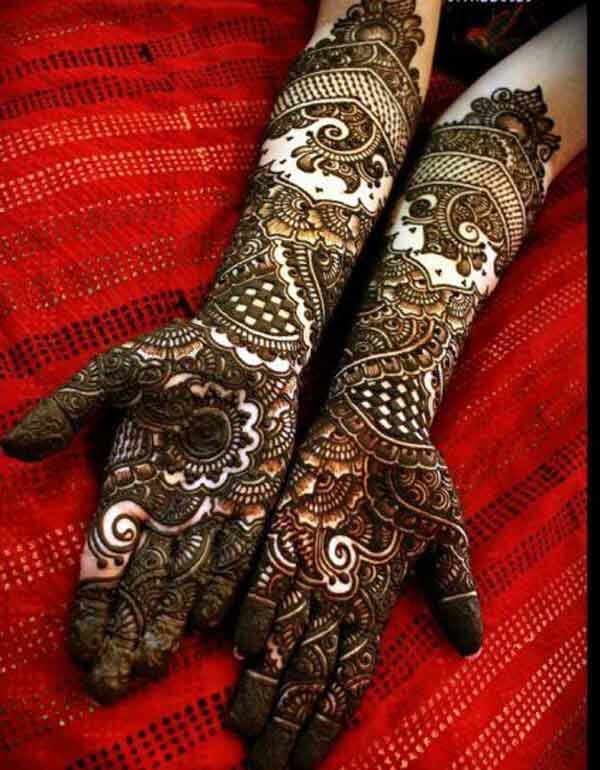 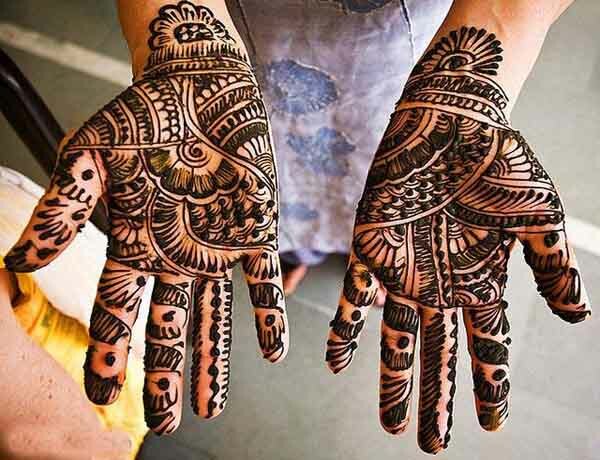 They start applying the designs a day or two before the wedding; they call it the “Henna Night”. 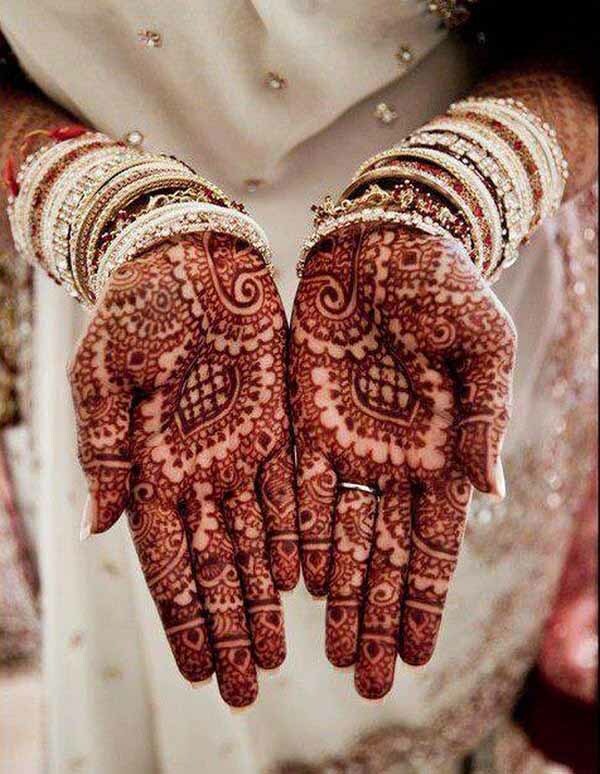 During this celebration, the bride invites her female colleagues and relatives to get prepared on her wedding day. 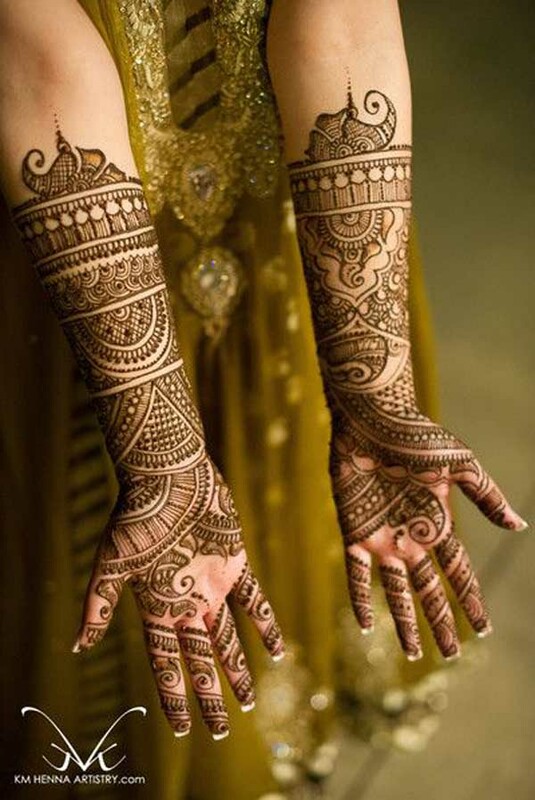 The night won’t be complete without eating, drinking and dancing with the bride. 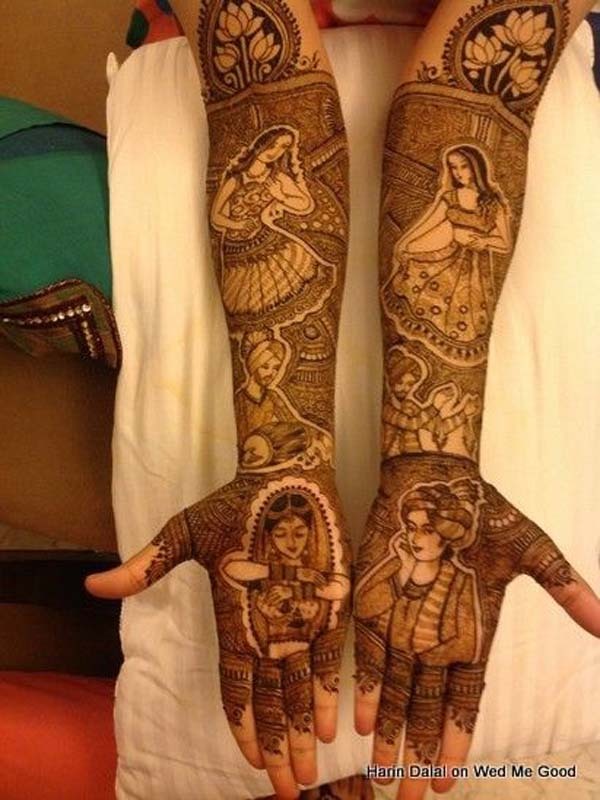 A separate ritual is dedicated for the designing the Mehndi. 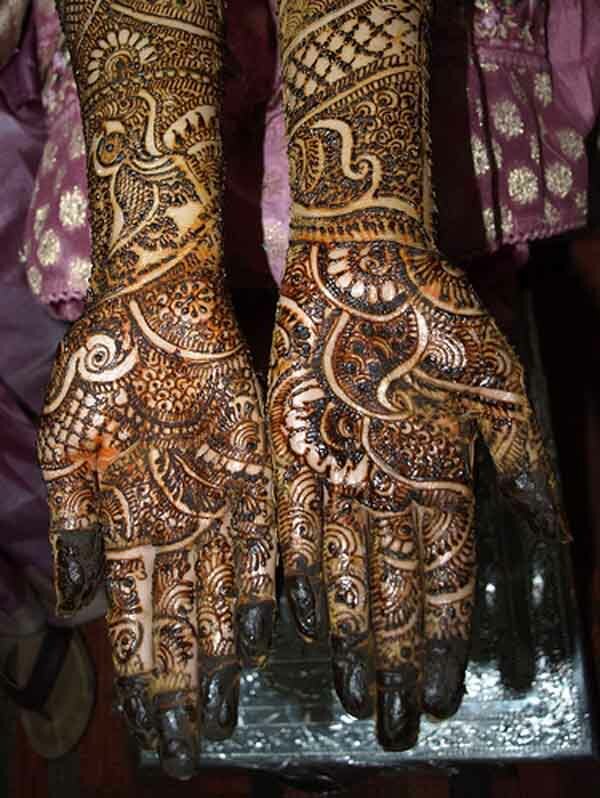 They exfoliate the hands and ensure that it is free from moisturizer. 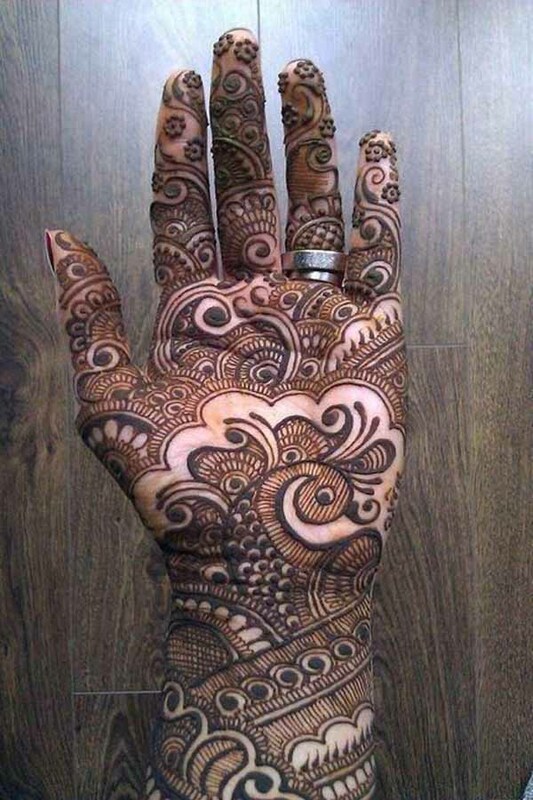 They put the turmeric on the skin for a lighter color. 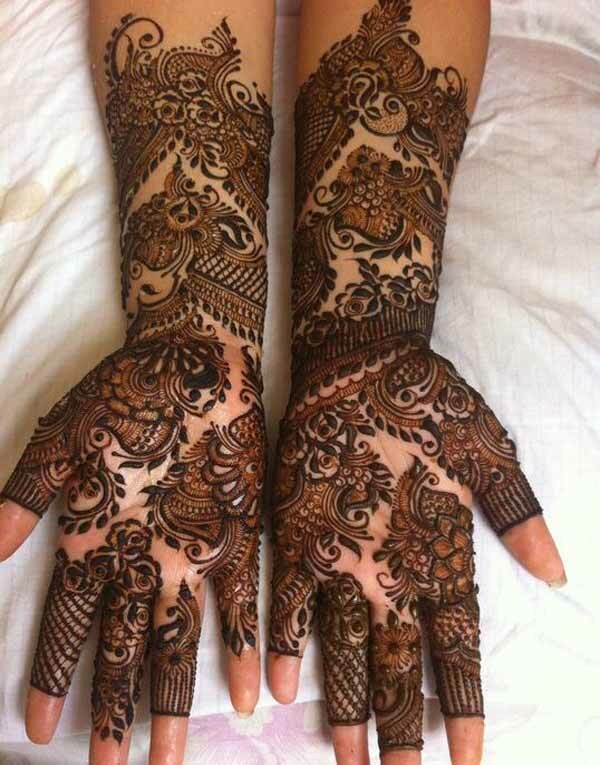 Then they apply the bridal Mehndi designs and let it dry over night. 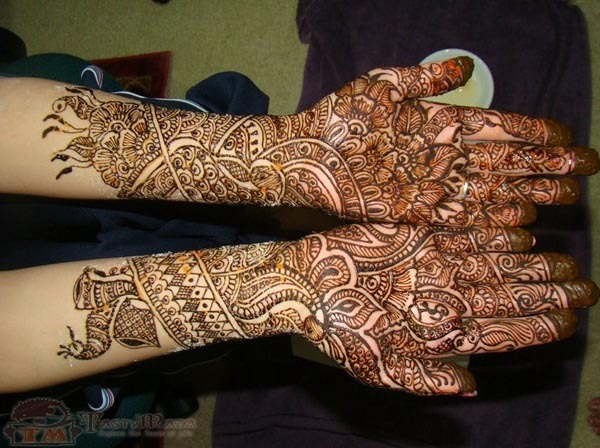 Every artist has their own techniques and styles in applying the Mehndi designs. 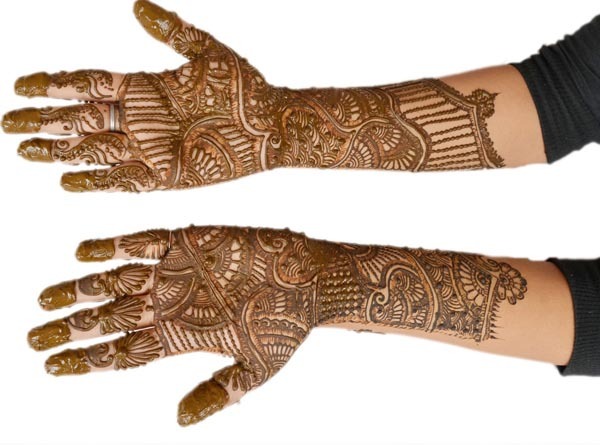 They select the tools that will create beautiful designs like cones, toothpick or jacquard bottle. 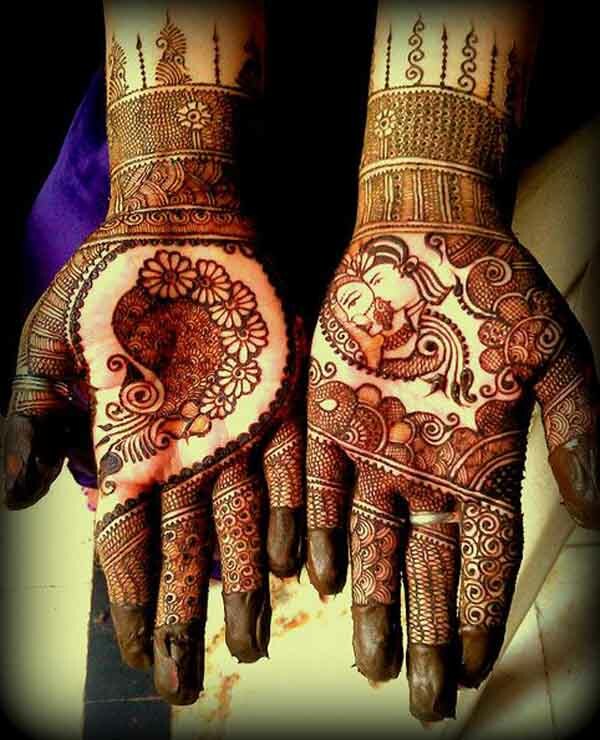 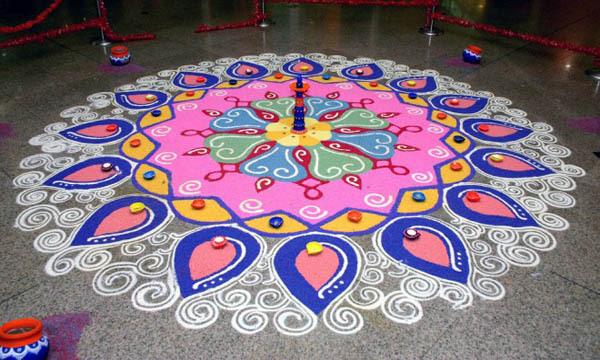 The basic colors they use for Mehndi are black, red, brown, yellow, orange or red. 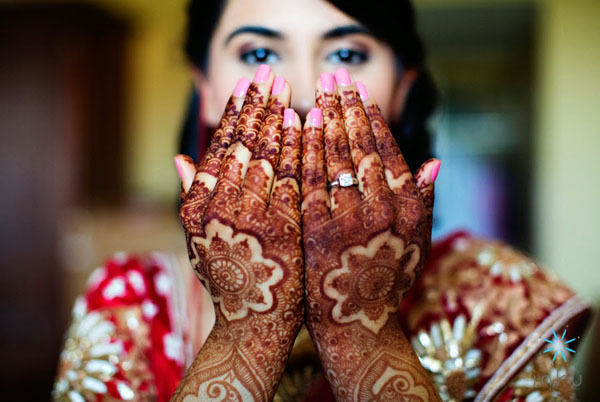 To achieve darker stains they add products with hennotannic acid like clove bud, eucalyptus oil, tea tree oil and lavender. 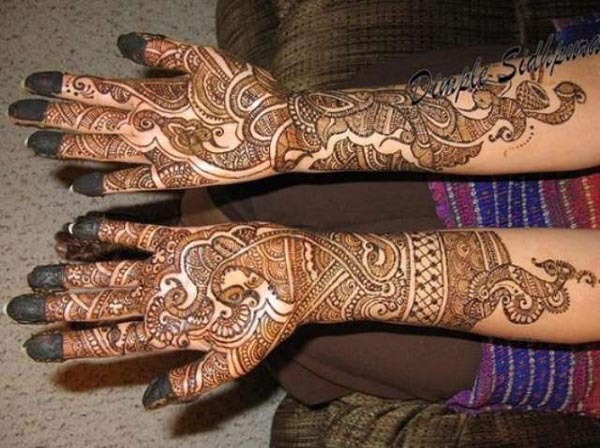 Other recipes have color pigments like p-Phenylenediamine or PPD, Sodium Sulfate, Citric Acid or Benzoic Conchloride to get the desired color. 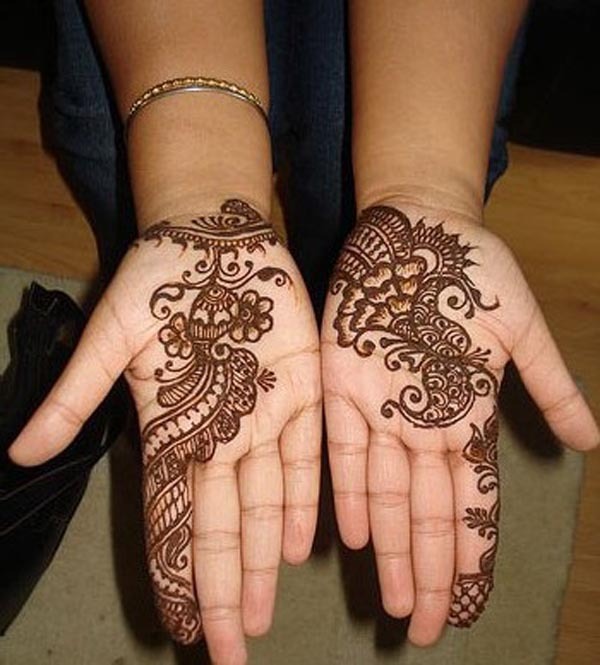 Perform a skin test first before applying this pigment. 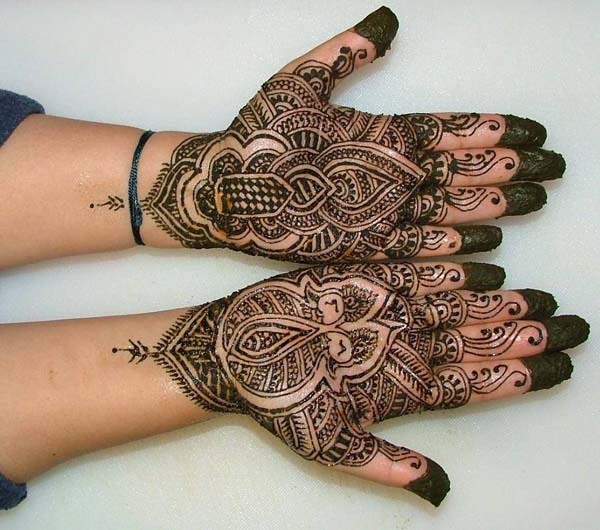 The chemicals that they add to Mehndi can cause allergy and may be harmful for your skin. 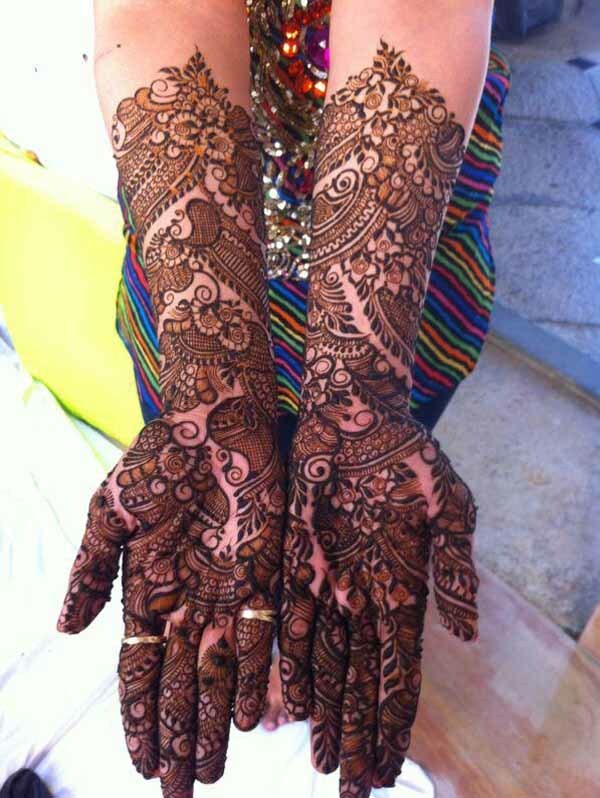 Sometimes they add color by adding glitter, beads and other skin accessories. 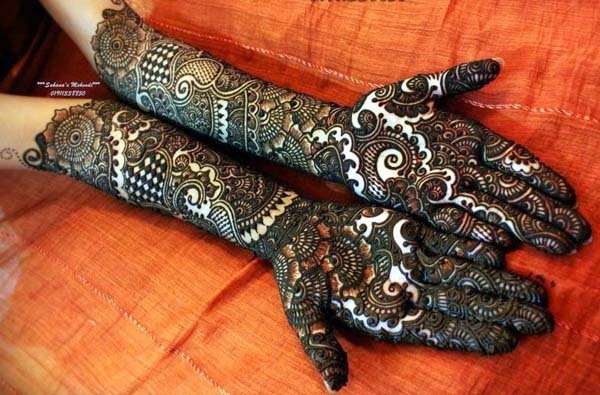 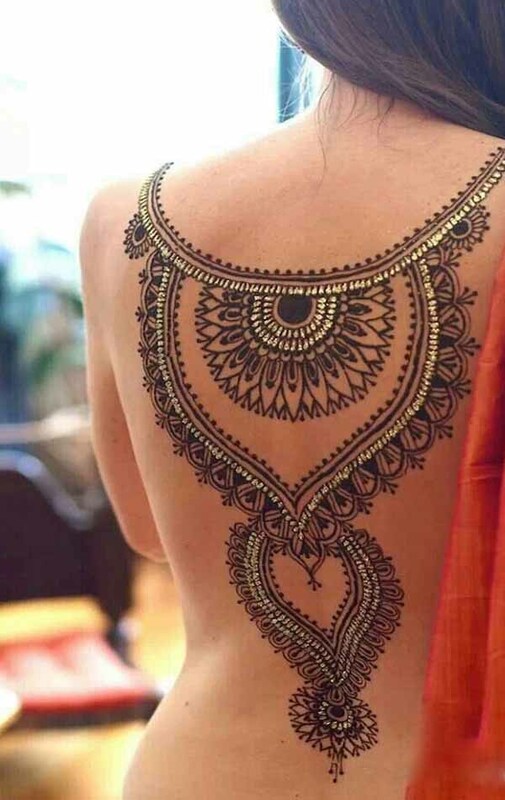 They also have various techniques in drawing Bridal Mehndi Designs in the skin. 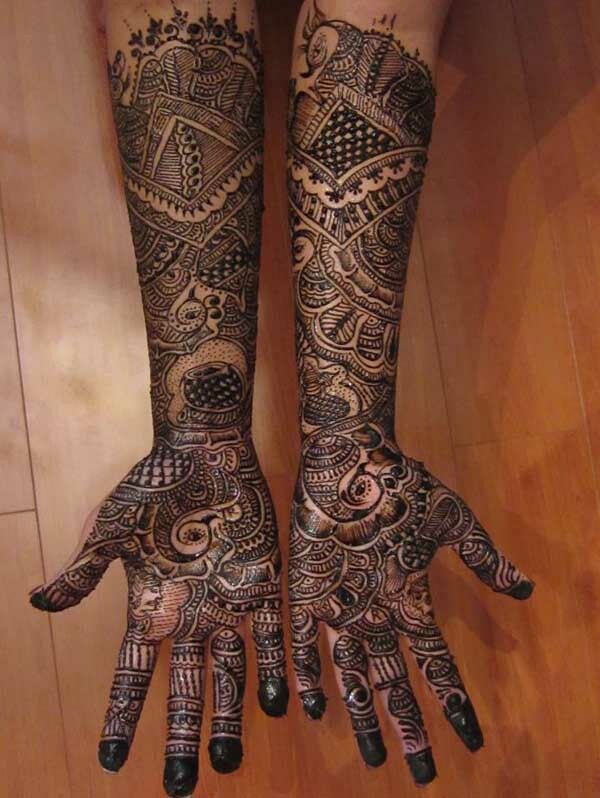 This includes stencil, draping, and shading.